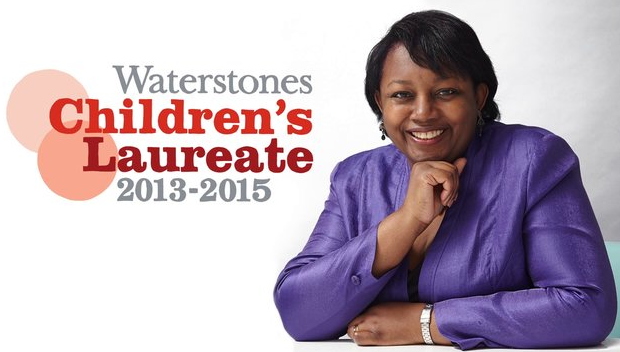 Malorie Blackman has written over 60 books, was appointed Rock Star of All Things Bookish – ie Children’s Laureate – in June 2013, and has now added a little icing to all that cake by being named the most influential black person in Britain. Pour yourself a cuppa, get comfortable in that chair and let’s learn a little more about this literary powerhouse. It took two years and a staggering 82 rejections before Malorie got her first book deal. It was with the feminist publisher, The Women’s Press and she submitted a collection of short stories for teenagers that blended horror and science fiction. The collection was published in 1990 and called Not So Stupid. Alas, the same can’t be said about all those publishers who originally passed on her. Malorie has said that it never crossed her mind to be a writer until her mid-20s when she read The Colour Purple. The Alice Walker novel was the first book she’d read that exclusively featured black characters and after reading it she realised black people could be authors too. Malorie attended Honor Oak Grammar School in Peckham, south east London. As the child of immigrant parents, her success in the UK literary establishment could be used as proof that grammar schools grease the wheels of social mobility. However, Malorie’s descriptions of demoralizing teachers who quashed her then dreams of working in education by informing her that black people didn’t teach, suggest she succeeded despite the system. Malorie believes previous Children’s Laureates have focused on serving young children, she plans to use her appointment to encourage a love of literature among teenagers. To this end she’ll be hosting the first UK Young Adult Literature Convention in June 2014. After the racist murder of black British teenager Stephen Lawrence in 1993, Malorie decided to make racism the central theme in her next book. She wanted to explore slavery and its legacy in a unique way and so created a dystopian alternative universe where the black Crosses have power and status and the white Noughts are oppressed. 9/11 killed off the possibility of publishing any book explaining why someone might become a terrorist. It is now available in the States under the title, Black and White. In 2009 Malorie admitted to owning well over 15,000 books. We can only imagine what the current count is. Before becoming a fulltime writer Malorie’s precious jobs included: work in BHS and Littlewoods as a Saturday Girl, receptionist and catering assistant roles, and – after earning a HNC in computing, jobs as a Systems Programmer and Software Specialist. Malorie graduated from the National Film and Television School and has written episodes of the children’s drama Byker Grove, adaptations for her books Whizziwig and Pig-Heart boy.